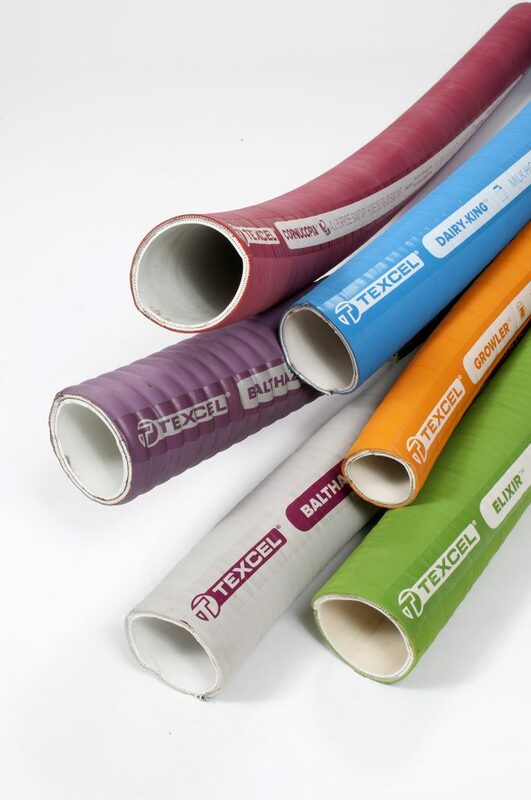 Type 4901 Sanitary Suction Hose is an FDA-grade suction and discharge hose designed to convey liquids requiring a sanitary hose tube. This hose has a white nitrile rubber tube that is FDA approved and will not leave marks or residue. The white nitrile rubber is resistant to animal fats and oils, and can also be used for potable water and beverage transfer. Assemblies are available with in a variety of configurations with full-flow or crimped stainless hose fittings.